Volleyball in India is set to get a boost with the RuPay Pro Volleyball League 2019 starting 2nd February. The league will have players from around the globe which will help the young Indian boys to learn and improve by playing alongside foreign stars. There are a total of six teams participating in the league, with each having two foreign stars in their ranks. With this league, the sport will definitely get more viewership and exposure in the country. Volleyball Federation of India is not a rich body, and therefore, the players have to work as well in order to earn themselves a living. They have to maintain a perfect balance between their daily jobs and training, so as to keep their body in shape and be ready for international challenges. But this league will surely change the way volleyball is played and seen in India. So, here's look at some of the star players that can play a crucial role for their respective sides in the first edition of the PVL. Ukkra, as he is known, hails from Tamil Nadu in India. The 29-year-old has been playing for India for some time now. He made his debut long back in the year 2004. He wears jersey number 16. Mohan's heroics at the national level earned him a job in the Indian Overseas Bank. The veteran of the sport plays as a setter which is known to be the most crucial position in volleyball. This position is much like a goalkeeper in hockey. 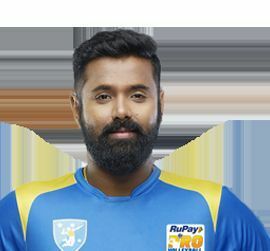 He plays for Tamil Nadu which is a top domestic side in Indian volleyball. 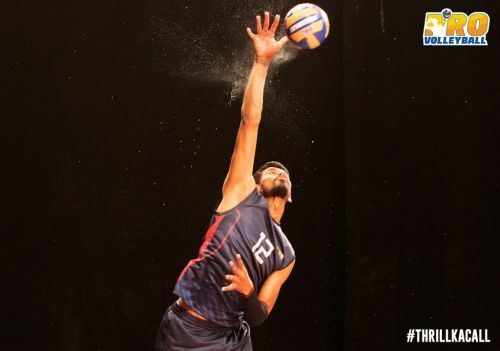 Ukkra will play for Kochi Blue Spikers in the first ever RuPay Pro Volleyball League.